Former New York City Mayor Michael Bloomberg says his foundation will fill a funding gap left by the U.S.
Michael Bloomberg is pledging to fill a funding gap created by President Trump's decision to withdraw from the Paris climate accord, offering up to $15 million to support the U.N. agency that helps countries implement the agreement. 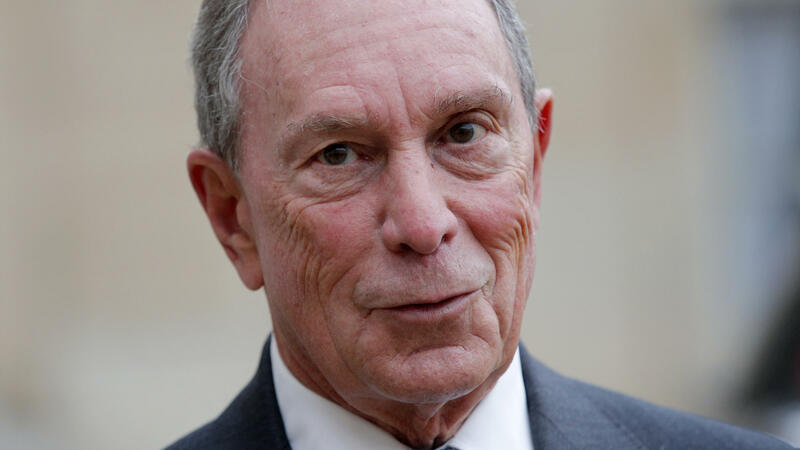 "Americans will honor and fulfill the Paris Agreement by leading from the bottom up — and there isn't anything Washington can do to stop us," said Bloomberg, the former New York City mayor who now serves as the U.N.'s special envoy on cities and climate change. "Mayors, governors, and business leaders from both political parties are signing [on to] a statement of support that we will submit to the U.N.," Bloomberg said, "and together, we will reach the emission reduction goals the U.S. made in Paris in 2015." Dozens of cities have said they are committed to the Paris climate accord, with at least 86 mayors signing a statement saying they will adopt and uphold the agreement's goals. Under the Paris accord, the U.S. sent some $1 billion to the Green Climate Fund that is guided by the U.N. Framework Convention on Climate Change — the body that coordinates international climate policy. The U.S. was supposed to provide an additional $2 billion, but Trump has balked at that idea, and his proposed budget includes cuts to international climate programs. Bloomberg's plan calls for his foundation to work with other groups, from governments to philanthropies, that want to support the U.N.'s climate change agency. "We are grateful to Bloomberg Philanthropies for this generous contribution," UNFCCC Executive Secretary Patricia Espinosa said in a news release about the funding pledge. While government funding remains vital, Espinosa said, "this kind of support is crucial for the work of the Secretariat to assist nations in their efforts to implement their commitments under the Paris Climate Change Agreement." The announcement follows Trump's decision to pull out of the climate deal that nearly 200 nations agreed to in late 2015. As NPR has reported, "the only other countries not part of the agreement are Syria, which is in the midst of a civil war, and Nicaragua, which argued that the Paris accord did not go far enough to curb global emissions." The architects of the Paris Agreement included Christiana Figueres, who until recently led the UNFCCC. After the U.S. withdrawal from the Paris deal sparked pledges of money and solidarity, Figueres said via Twitter on Friday, "Thank you Trump. You have provoked an unparalleled wave of support for Paris and determined resolve on climate action. Deeply grateful."